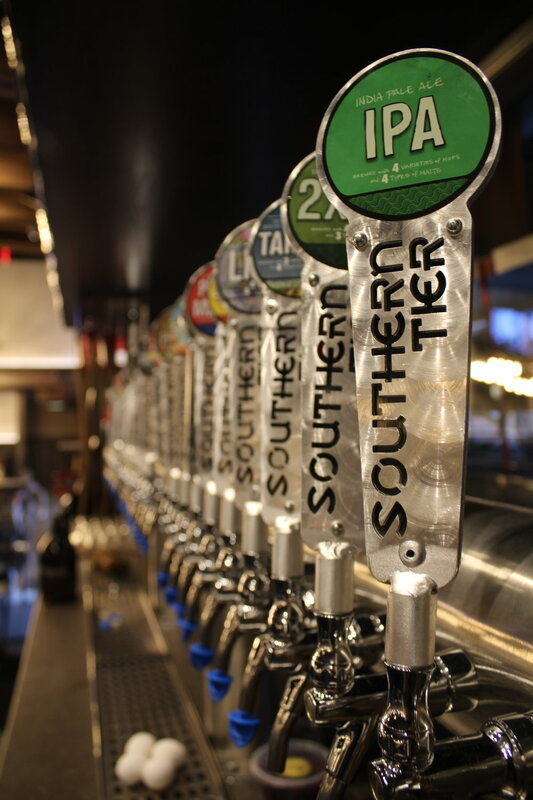 Developed as the first Southern Tier Brewpub beyond the original Lakewood, New York, Brewery, the Pittsburgh pub mirrors the heavy timber framing of Lakewood while giving a nod to the historic nature of iron-and-steel in Pittsburgh. 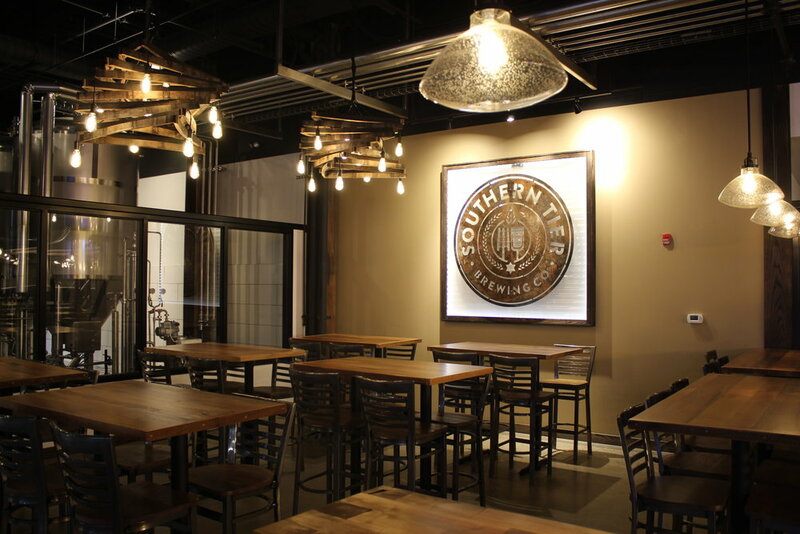 Details are crafted from materials found in or related to a brewery, including light fixtures fabricated from aging barrels and wall finishes constructed from barrel staves. Even the brewery logo is hand crafted in steel as a wall accent. This project won a 2018 Master Builders Association Building Excellence Award for Excellence in Craftsmanship Interiors; read the ARTICLE in Breaking Ground magazine. Also read an ARTICLE from Craft Pittsburgh Magazine.